My post starts tonight with those words because as many of you know, my husband, John Merryman, III passed away August 31, 2013. I remember saying…1 month…2 months, then, 6 months….and now it has been 12 months. It is very hard for me to talk about John in the past when he is so much in our present. John would be happy of the things that we, as a family, have accomplished. I will leave it at that, since it is more private. I have so many photos of John. He did not like his picture taken, but now that over the years I have done so, I am so happy. Some of them are pretty funny, and he would just shake his head if I put them here. He, actually, did not want us to dwell on his passing. We miss him, so we do. A few weeks ago, I came full circle. 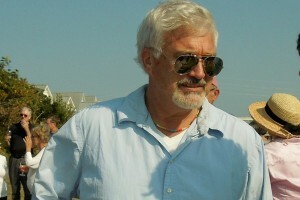 Mr. Ernest C. Raskauskas was in Bethany Beach, Delaware. 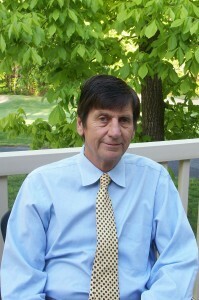 Mr. Raskauskas hired John as a realtor back in 1977. John came to interview at the beach and the rest is history. 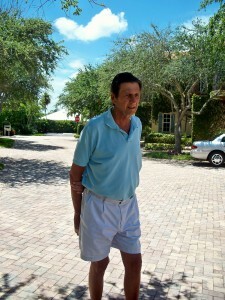 John learned so much from this man….contract writing and real estate in general. Mr. Raskauskas was a trial lawyer in Washington, D.C. He is a philantropist, who has given his time, funds, and full heart to those causes that are dearest to him. Back in the day his real estate company was called East Coast Resorts. 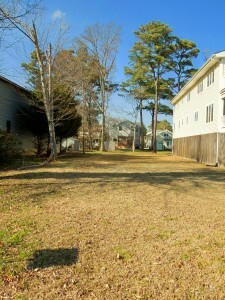 They developed Bethany West, Bayberry Woods, and The Villas of Bethany West, among others developments. Many of the real estate companies started in Bethany at the time, were started by realtors that had worked for Mr. Raskauskas, including Tidewater Realty, which my husband started in 1988. I saw Mr. Raskauskas on his visit to the beach and I asked him how he was and he answered “I am still here”. He is witty, so intelligent and the patriarch of a family of 9 children. Mrs. Raskauskas was the ultimate matriarch, as well. John and I became part of their family. They treated us like their children. I wanted to get together with him. 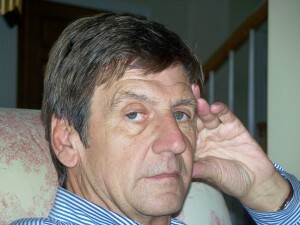 His daughter, Annie, was John’s best friend, along with Jay. So I asked her if I could come to see him at her house. I brought food, and we celebrated John’s life. Our life, in Bethany started with him. 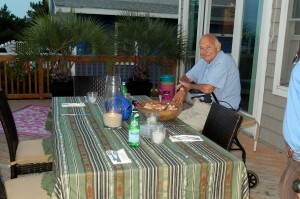 It was so nice to visit and have dinner with him and remember “the good old days”. Thanks to Mr. Raskauskas who picked the reading for the evening. Psalm 23 (King James Version)….The Lord is my shepherd; I shall not want…. Just a few of us there….our friend, Carol, as well. She had known John for so many years too. Today, John, Michael, and I celebrated John’s life with our own ceremony….and then just like John would have wanted us to do we went to eat at the diner in downtown Bethany. John’s prize possesion was his family….he loved Michael and John. He showed them how to ski, hunt, fish, play golf, baseball, and throw the lax ball. 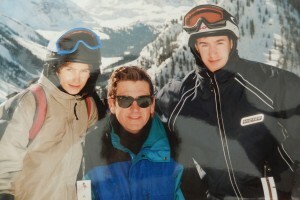 The three of them had a ball when skiing. Now it is just the two of them….with me at their sides. Putting one foot in front of the other, taking it easy and handling things just like John would have wanted us to do have made the path easier. So, until next time…..I can hear John saying…enough is enough, pleeeeease!! Talk to you later. There is still time to catch outdoor entertainment at The Freeman Stage. 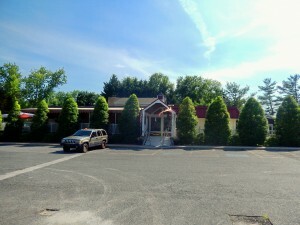 Located at 31556 Winterberry Parkway, Selbyville, DE 19975. 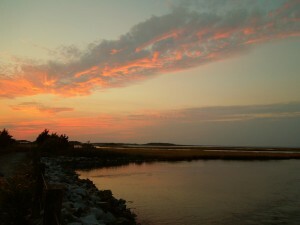 Just a few miles west of Fenwick Island, Delaware. 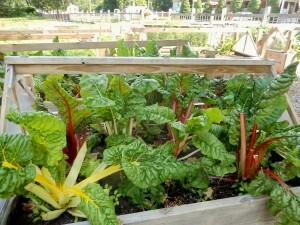 The programs are diverse and there is something for everyone. You sit outdoors, under the stars, and when there is a full moon, it is a priceless place to be. 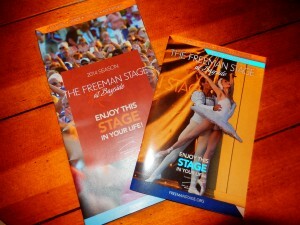 The website is http://www.freemanstage.org. It was such a nice evening. 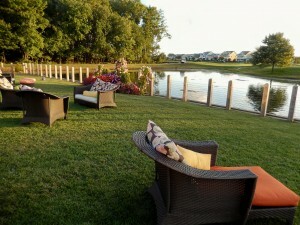 Something to eat; outdoors at The Cove….hamburgers and salads, waiting for the show to start. Assigned seats for this evening’s performance, otherwise you can bring your chairs. Friday evening Shelley, Susan, and I went to see Invincible: A Tribute to Michael Jackson. At least I was going to recognize all the songs. You know, songs like Billie Jean, Beat It, Thriller, etc. etc. 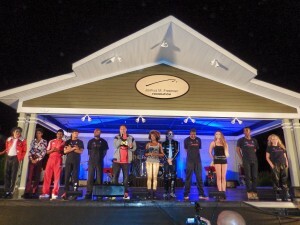 The show celebrated the King of Pop’s Birthday. You can find Invincible: A Tribute to Michael Jackson on Facebook. It was a high energy performance so there was no way we were going to stay put on our seats. Some of us went to the back and danced the show away. 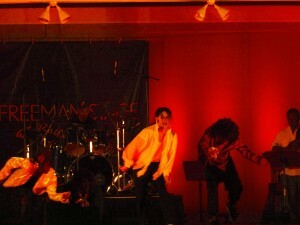 It was surreal to see these performers (there were a couple of Michael Jacksons), look, sing, talk, and dance like him. 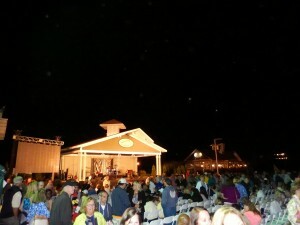 It was a full house at The Freeman Stage and the show was incredible. 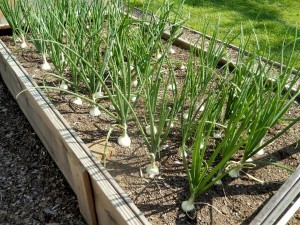 Tic Toc, Tic Toc….there is still time. Check the website http://www.freemanstage.org. Have a great Labor Day Week-End!! 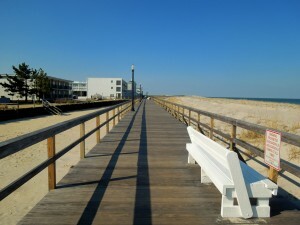 The Quiet Resort of Bethany Beach, Delaware, was really quiet then. On Labor Day, those streets were rolled up. Bethany did not have, on those early days, a pharmacy…it was a dry town. Only one grocery store. That’s how small it was. During the winter there were only 500 of us living there. So one summer, former Bethany Beach Councilman, Moss Wagner, and others in town like Ken Cloud, who owned Clouds, a children’s store, decided that a proper burial would be most appropriate. A sending away the summer….not to forget it but to remember it. 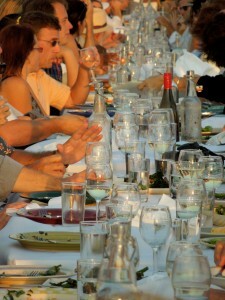 Gather friends…or the ones that were left in town and celebrate!! Share your memories, even shed a few tears…..dress up! 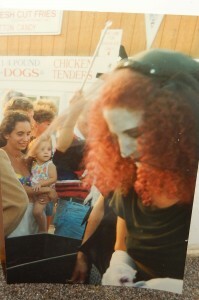 My photos here are from September of 1993. Moss is at the head of the funeral. You can see it says R.I.P. Summer ’93. 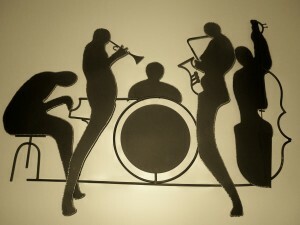 The Jazz Funeral was usually around 4:30 p.m. My friend, Sharon, and I would try to make it every year. Then, we would bring our families to enjoy family entertainment, including the ritual of the lifeguards running towards the water for one last swim. 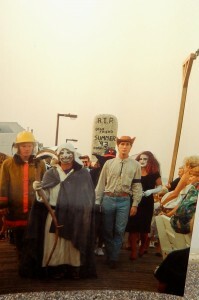 This photo is also from September, 1993. If you look closely, the lifeguards are naked. The bathing suits are around their necks. Usually, the girls did not take the suits off, but at times they would show a little breast. If you notice on the photo, people are walking on the beach….nobody is looking….the most natural thing in the world. Those were the good times…haha. This Labor Day Week-End, it is a bit different. On Friday, 8/29, there is a Silent Auction to be held at Bethany Blues at 6 N. Pennsylvania Avenue from 3 – 4:45 p.m. It is a fundraising event for the Sussex Country Big Brothers and Sisters. 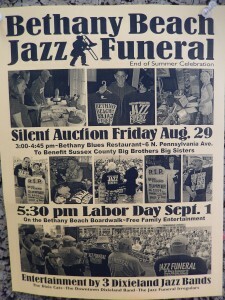 And, on Monday, Labor Day, at 5:30 p.m. the Jazz Funeral will start on the Boardwalk. It is big, it is fun, and it is still family entertainment. I am not sure if they do some sort of swimming….it would be with clothes on, believe me. Anyway, everyone is invited to participate. We did have a beautiful summer, so why not remember it in this special way. Have fun. Cry your heart out, will you? This sleepy little town has come a long way…. 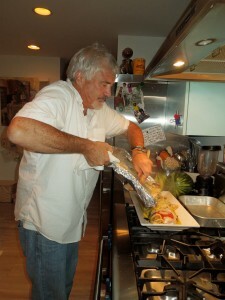 Salud To Matt Haley, Philanthropist, Restauranteur, Community Leader, Humanitarian…Delaware Beaches, Global Delaware, Southern Delaware, Sussex County, Matt Showed How to Cook, Eat & Enjoy Ourselves While Doing It! 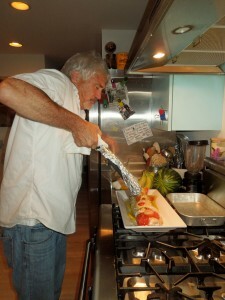 Cooking comes from the heart….you can’t rush it. Some have that special culinary gift, others, like most of us have to follow a recipe. Matt Haley had that gift. I have seen him reading a cookbook while having sushi at Saketumi in Rehoboth Beach, Delaware. Was he getting ideas for a new dish, adding a little bit of this or a little bit of that, I don’t know and I never asked him. I met Matt through my website, AboutMyBeaches. 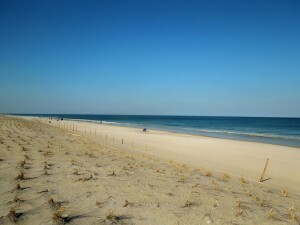 When I started the website in 2009, which is written in a blog style, it was because I wanted to promote the Delaware Beaches. 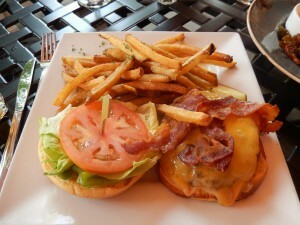 I love to eat and cook so it started that way, with me reviewing restaurants. I am not a professional, but I know what I like and how I like to be served. Every time I would write about a restaurant in 2009 I would send an email to the contact on the website of the restaurant I had just visited. Most brushed me aside. But, Matt was the only one that every single time answered personally from his email address. Later on my husband and I had a business relationship with him. I remember writing to him about a friend of mine whose mother had gone to one of the restaurants and then they charged her $2 for replacing green beans….what? He would say, Gloria, just take them on my dime to the restaurant. I never did. Another time, just recently, another friend mentioned something else. 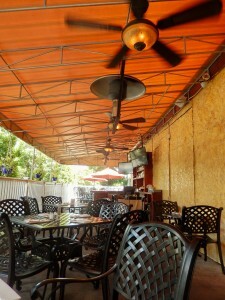 Once again I did write….if I had a restaurant I would want to have someone of trust telling me what happened. Don’t you think? Anyway, I did and he never complained. 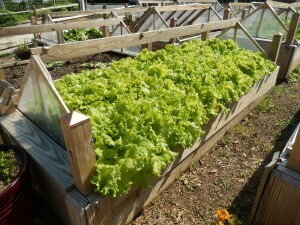 Farm to Table? What is That? 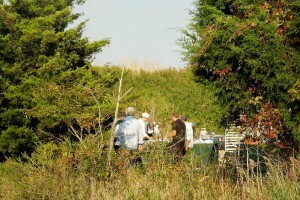 Matt also showed us that the setting of a dining experience adds so much to the aura of savoring delicious, local food. 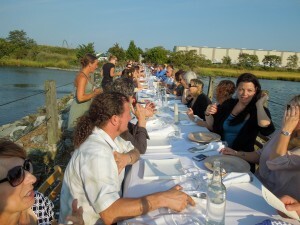 Always hands on, a dinner for Global Delaware, Matt’s non-profit, at Good Earth Market in Clarksville, Delaware, just west of Bethany Beach. That’s the first time I attended such an event. 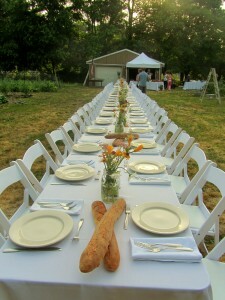 The idea of eating at a communal table, chatting and making new friends while raising funds for a worthy cause, was very appealing. 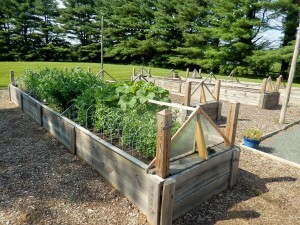 Cooking outdoors….local seafood, and veggies from the farm. 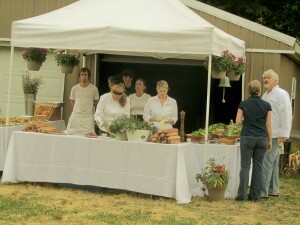 Here are some photos of that event. 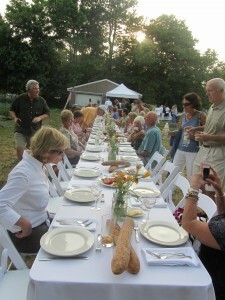 Another Farm to Table Dinner at Indian River was memorable, as well. 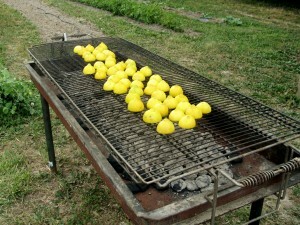 Cooking outdoors took a different dimension here. In the brush!! 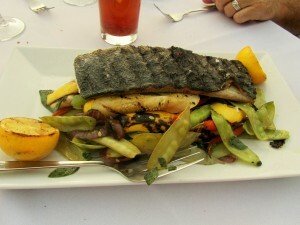 About 150 strangers got together to enjoy local fish, veggies and each other. 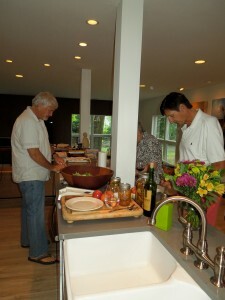 On August of 2012, Matt invited my husband, John, and I to dinner at his home. I called it the Spanish Contingency Dinner. 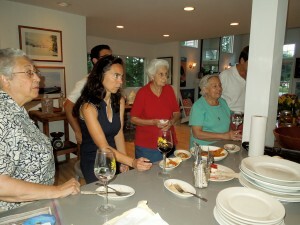 His guests were the 3 sisters of La Esperanza in Georgetown. Let me tell you that these sisters loved Matt like a son. He was so involved in La Esperanza, as well. He told me that every time he went on a trip, they would bless him, and cry, etc. etc., not knowing what trouble he was going to get into. Ha, ha! Their names? Rosita, Maria and Asuncion. Also in the group was a couple, Jose and Virginia who are the editors of Hoy en Delaware. It was then that he told us that he had been invited to be on the Board of Freeman in Fenwick. He was so excited! I used to talk to Matt in Spanish, but to tell you the truth, he really did not understand much. I used to tell him that I could not understand how he could be with all these Spanish speaking people and barely say “Si”. It is the truth, and he would admit to it. This was a great evening. My husband, John, was loving it. Someone else cooking and him eating. Matt and John had a really nice relationship. Up to that afternoon, Matt did not know what he was cooking for dinner. If it had been me, I would have been running around my house like a lunatic. Not him; cool, calm and collected….and lucky too because someone dropped some fresh fish just in the knick of time. A simple preparation, was all that was needed. 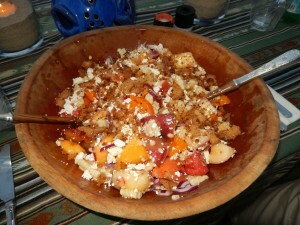 Salad and veggies were all done. The rest of us brought desserts….Spanish desserts with me bringing my pride and joy…a Puertorican flan! In the meantime, Matt asked me to stir something on the stove. I asked him where his spatula was. “I don’t have one”….what? A chef with no spatula? What is this? All I could think was, how am I going to serve my flan? Matt really did not have a spatula. 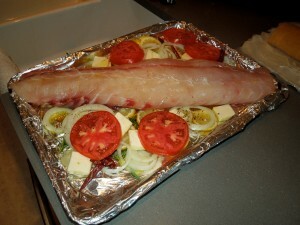 Here he is sliding the fish into the serving platter. He did it but it would have been easier with a spatula. 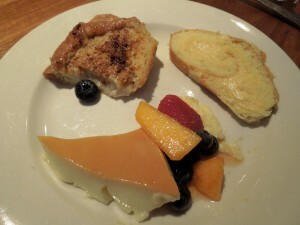 My flan was served….it did not look too pretty but everyone said it was good. 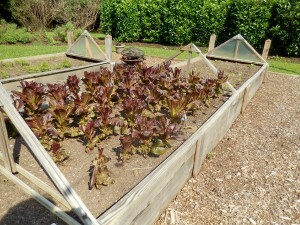 It is hard to serve a plan with a plain knife! It was an early evening. Good company and great conversation….Matt admitting that he did like the those holiday favorites like green bean casserole!! The traditional way, canned soup and all. Matt did not have to worry about not having a spatula anymore….I did drop about 6 of them; all shapes and sizes, wishing him “Good Spatulating”. Note: At the beginning of September 2013, I saw Matt at Safeway. That was his grocery store of choice. He had just arrived from Europe, I believe. We talked about my husband’s passing. Then, he said his brother had died too a few months back. No idea..so, now as I reflect on it, I am so sorry for his family’s loss. I wish them peace. 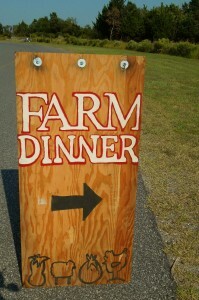 At the Indian River Inlet Farm to Table Dinner, it was getting darker and we were all ready to leave. I said “Matt, give me a smile.” And, here it is!! Good night, my friend! Matt’s legacy continues. 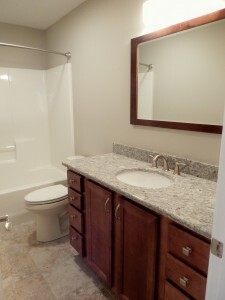 Please visit http://www.matthaleycompanies.com. In it you will find everything about his companies, including the Memorial Service celebrating his life on Sunday, 9/28, at 2 p.m. at Freeman Stage at Bayside. 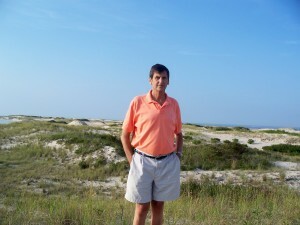 My husband, John Merryman, III’s testimony before passing away last August 31st was that during over the 3 decades in Bethany Beach, Delaware, he had developed more than enough houses to know the business. 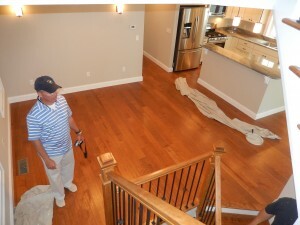 He referred to Jeff Burton of Lane Builders as a consummate professional, easy to deal with and someone he was happy to be doing business with. 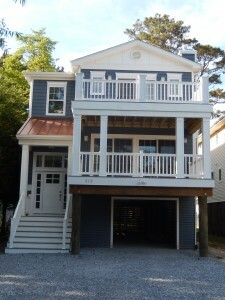 John and Jeff designed The Tidewater, a home that was to be built on Parkwood Street in Bethany Beach. The lots in Bethany are usually long and narrow, so a special house with plenty of bedrooms for a family and friends was born. 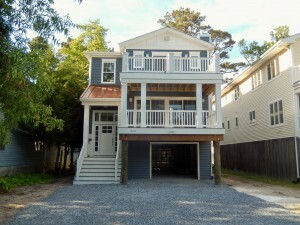 This house was within walking distance to the Town of Bethany; its beaches, boardwalk, shops and restaurants. 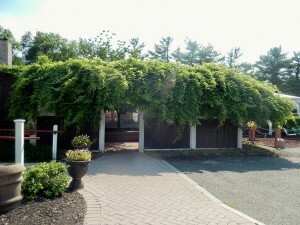 It was located in a quiet street in Bethany. 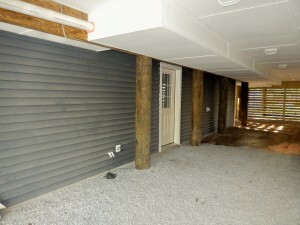 Instead of coming through the front door all wet, you could come from under the house and leave your beach belongings there. 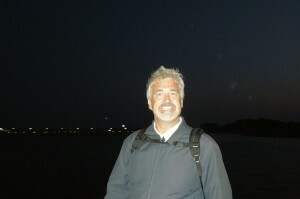 Jeff Burton is the Managing Partner and President of Lane Builders, LLC, located at 1009 Kings Highway, Lewes, Delaware. Tel. 302-645-5555. Website? http://www.lanebuilders.com. You can also find Lane Builders on Facebook. 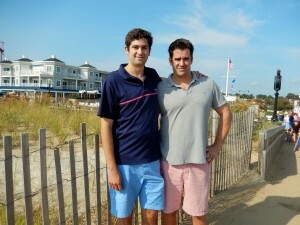 Upon John’s passing, we called Jeff and we also called the buyer who was from Northern Virginia. I cannot imagine their thoughts in having to then deal with the widow. Having been assured that the building was going to go as planned, they were confident in our ability to carry it through. 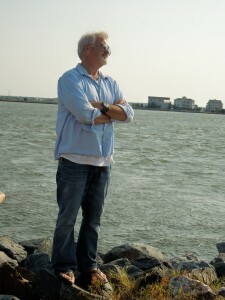 I am writing this post, which by the way, is very personal, since the year anniversary of John’s passing is around the corner. I wanted to tell you the kind of builder Jeff was for us. The first thing he said without hesitation was “I will make this process as easy as I can for you.” And, he did. Jeff Burton taking care of last minute details. Spiritually, John was guiding me through this process. I believe that. 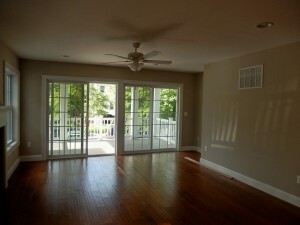 The house turned out to be so nice. I met the owners on the day of the settlement when we were checking the house. The floors were hand-scraped wood flooring, the tones of the house were soothing, lots of gray, white and blue on the walls and countertops. The family is going to love having all those bedrooms and bathrooms. 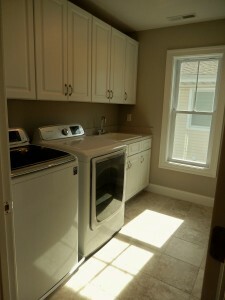 A spacious laundry room…a must! 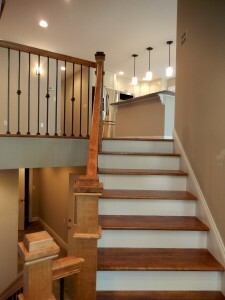 I know that when the owners come up the stairs they will certainly enjoy the smooth flowing of their beach house. 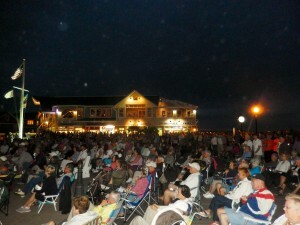 They are already enjoying it, along with everything Bethany Beach has to offer. 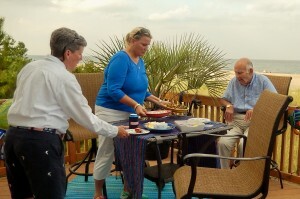 This family had been coming to Bethany for many years. 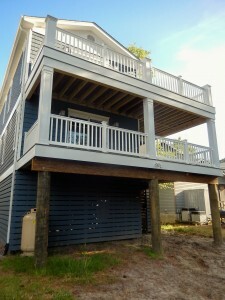 They told me they were waiting for the right house….The Tidewater is going to be a place for rest and relaxation. 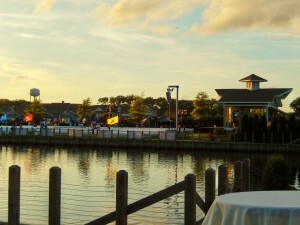 Bethany Beach is a family resort. It is also known as The Quiet Resort. Jeff Burton surprised me on that day. 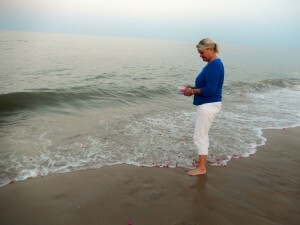 The Tidewater is going to be always The Tidewater; in memory of John. 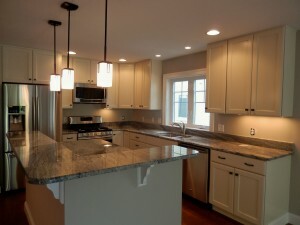 A home design that was their first one to be considered a preplanned home, custom built on your lot. 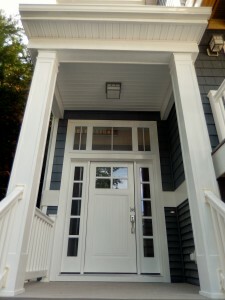 You can see a more detailed description of this house if you click on http://www.lanebuilders.com. I will probably not have any contact with the new owners. Our business is finished. But, this house will always hold a special place in my heart. John would have been so proud. My testimony? I can’t say enough about Jeff Burton, his building partner, Keith Hastings, and their staff at Lane Builders. 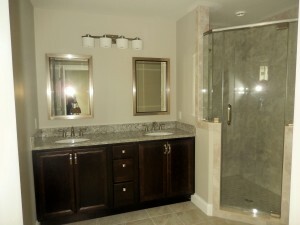 If you are planning on building or remodeling at the Delaware Beaches, please give them a call. You will not be disappointed. Tic Toc, Tic Toc, it seems these last few weeks of the official Summer 2014 are coming too quickly. 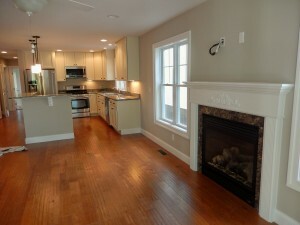 In Bethany Beach and looking for some dining and entertaining this week-end? Here is my suggestion. Make sure you feed your meter, otherwise there will be no mercy. 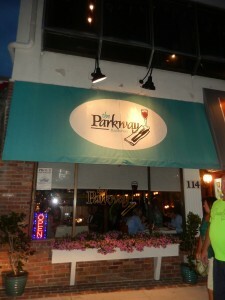 The Parkway Restaurant has been in Bethany Beach, Delaware since 1997. 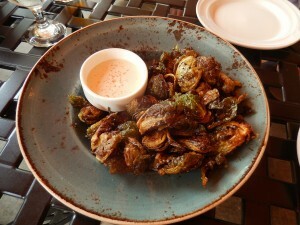 They open at 5 p.m. for dinner and they do accept reservations. Tel. 302-537-7500. Website? 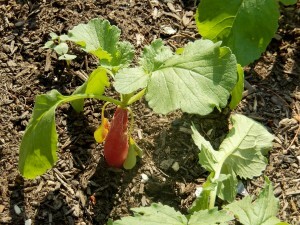 http://www.parkwaydana.com. 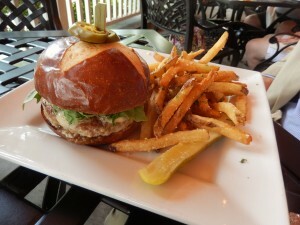 Just like many restaurants at the Delaware Beaches, the menu changes constantly. 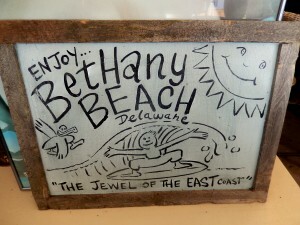 The Parkway has a big following and plenty of their customers travel to Bethany Beach just to eat at this local favorite. 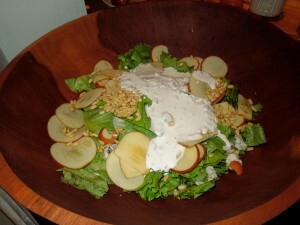 Some of us ordered The Parkway House Salad. 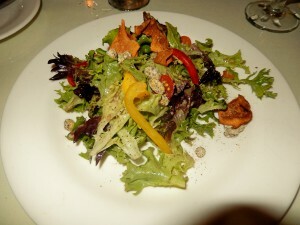 Mixed field greens, bell peppers, peppered pistachios, cherry tomatoes, crispy sun chokes, sweet walnut-maple vinaigrette. 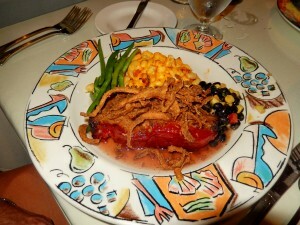 People love their meatloaf….so when Missy saw it on the menu she got it. Traditional meatloaf full of flavor. 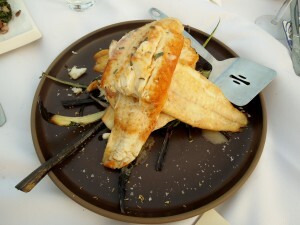 An order of Chilean Seabass followed….having eaten halibut a few days before, Debbie, thought this would be the perfect choice. 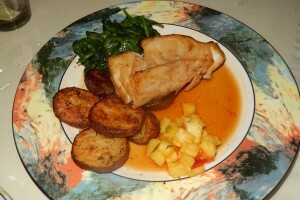 OMG…My Softshells were delicious. 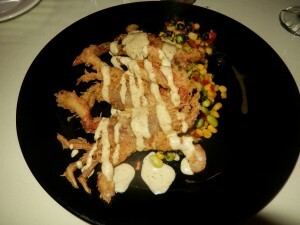 I love softshells more than anything. If they have them, they are a must. No dessert was necessary…we were in a rush to get to the Bandstand, which by the way, is within walking distance. Tonight, Saturday, 8/23, The E Street Shuffle, a Bruce Springsteen Tribute, and tomorrow, Sunday, 8/24, The Vigilantes Acoustic Duo, a genre of rock/pop. Entertainment starts at 7:30 p.m. Under the stars!